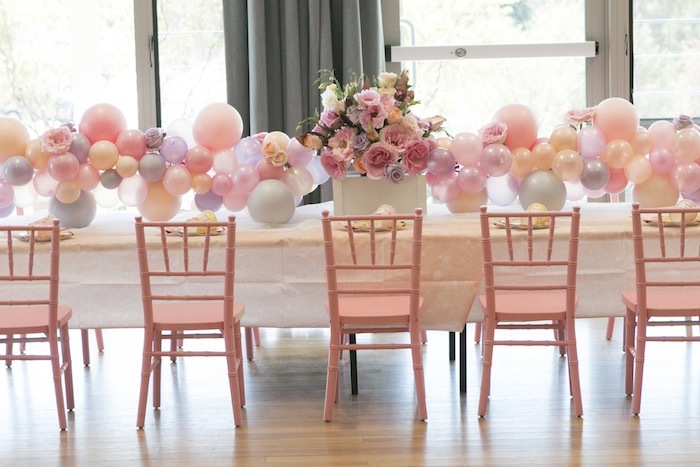 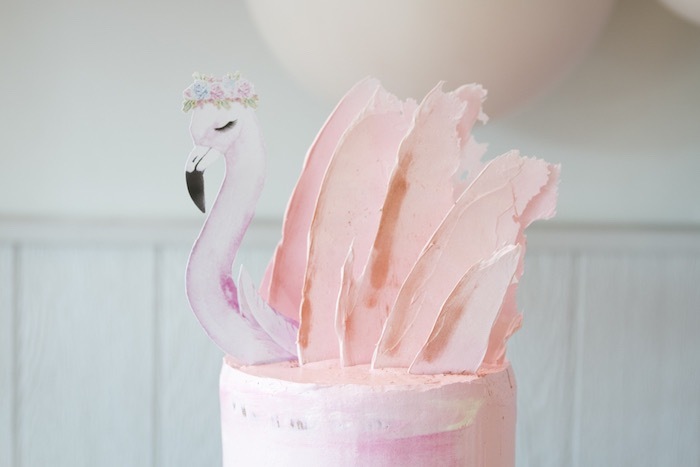 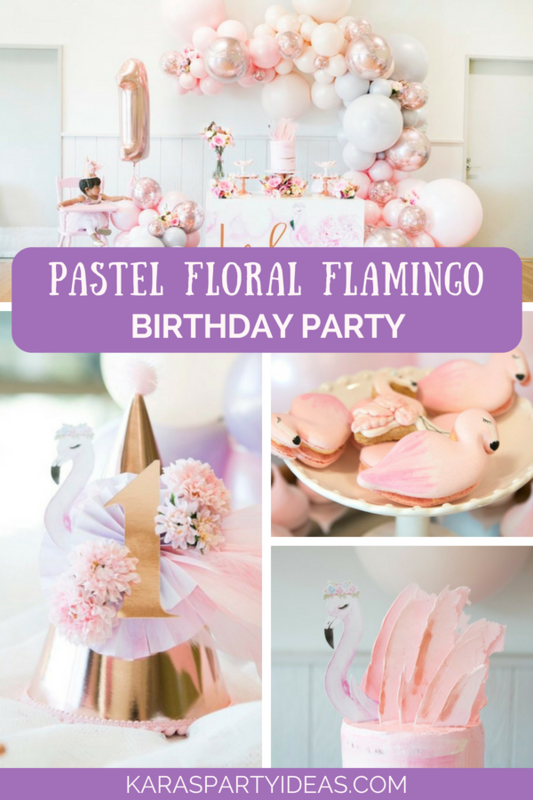 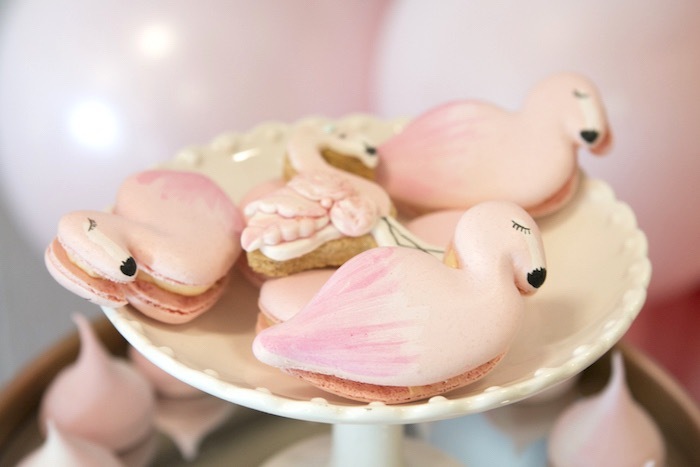 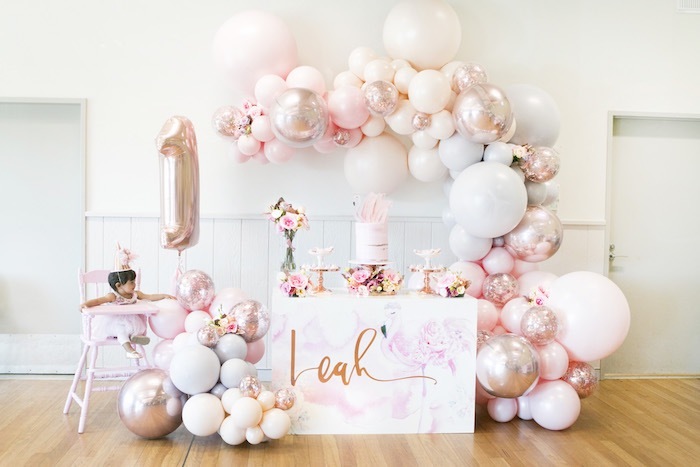 Fluff your feathers and give a shout, this Pastel Floral Flamingo Birthday Party by Tanya Castellino of Life’s Little Celebrations, out of Sydney, Australia, is flapping about! 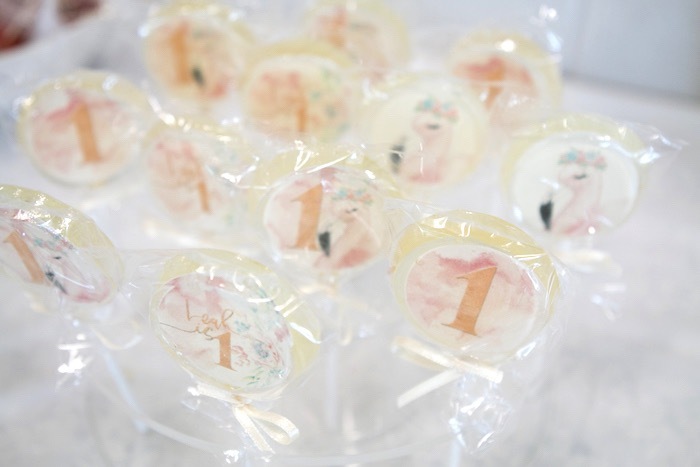 Filled with fancy and florals so fine, this first birthday party is positively divine! 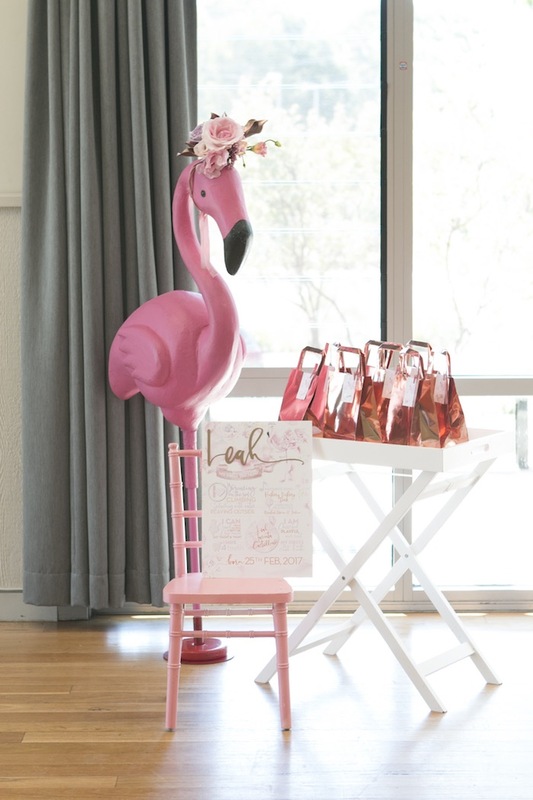 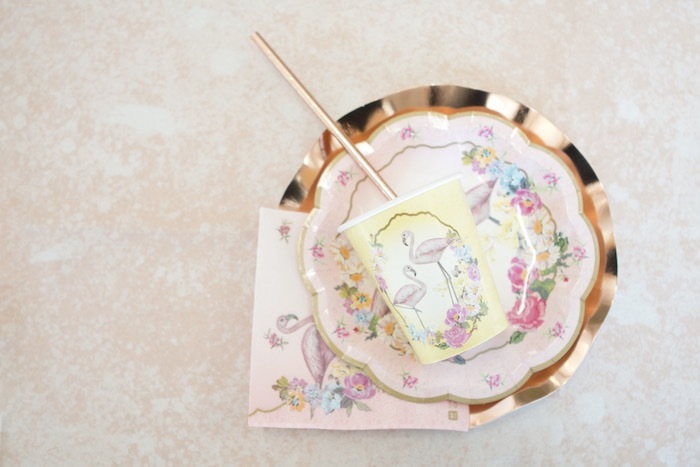 And Glam Floral Flamingo Partyware! 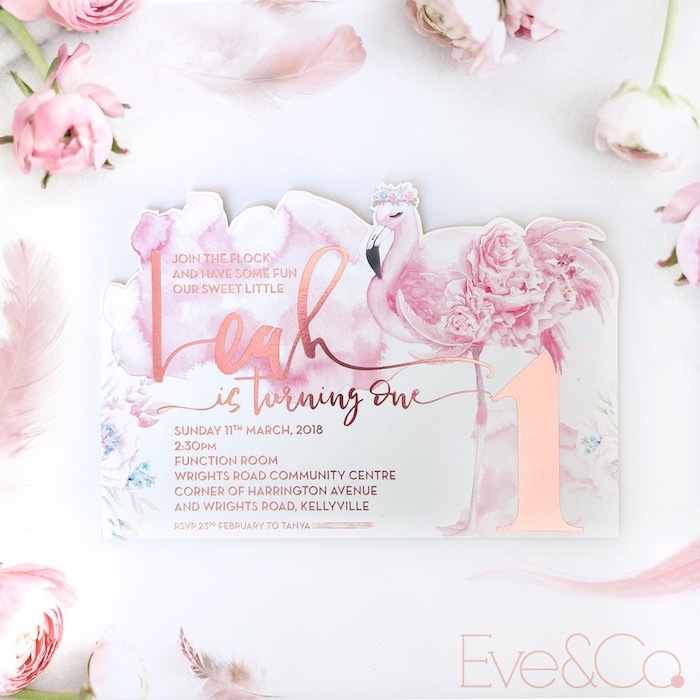 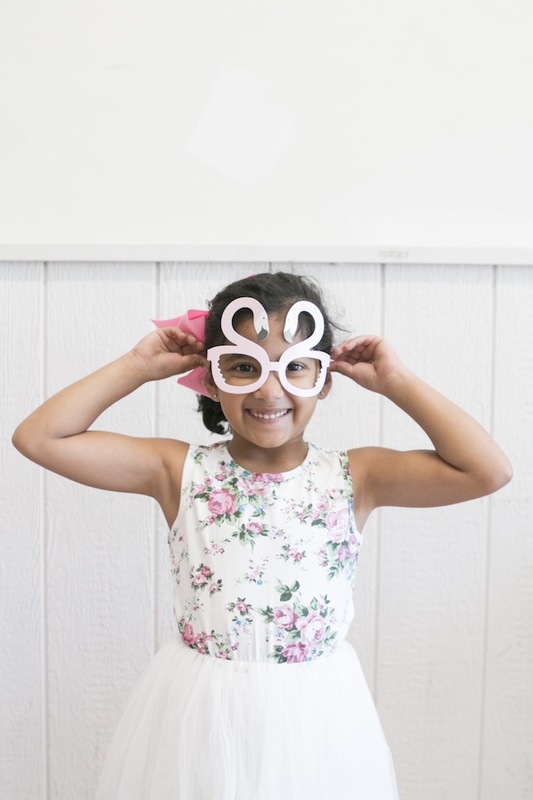 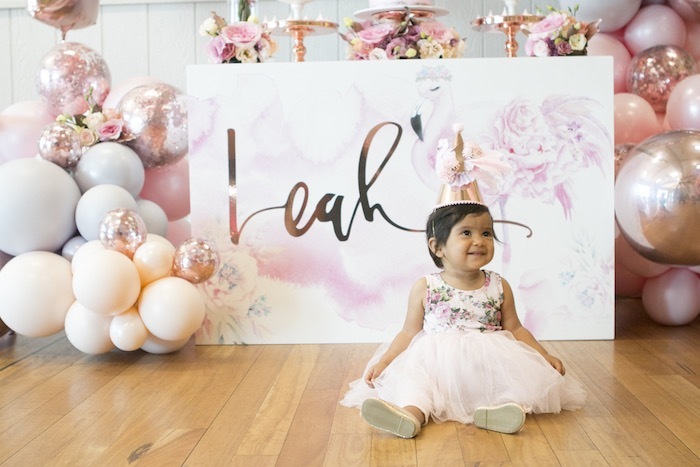 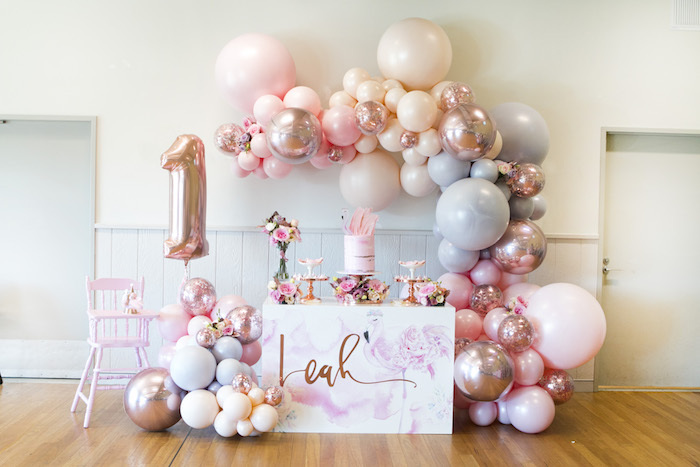 “Leah is our 4th child and has brought so much joy to our family and I wanted to celebrate this 1 year milestone with something special and memorable  as well as a beautiful theme fitting for such a precious girl! 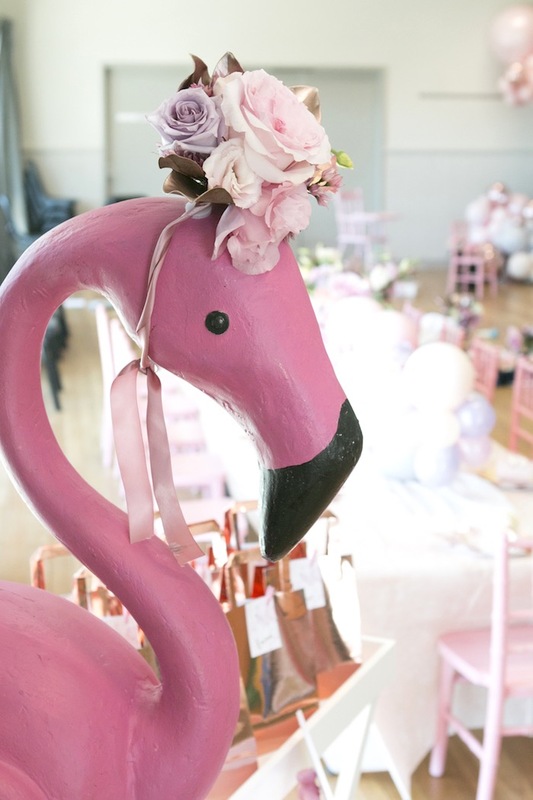 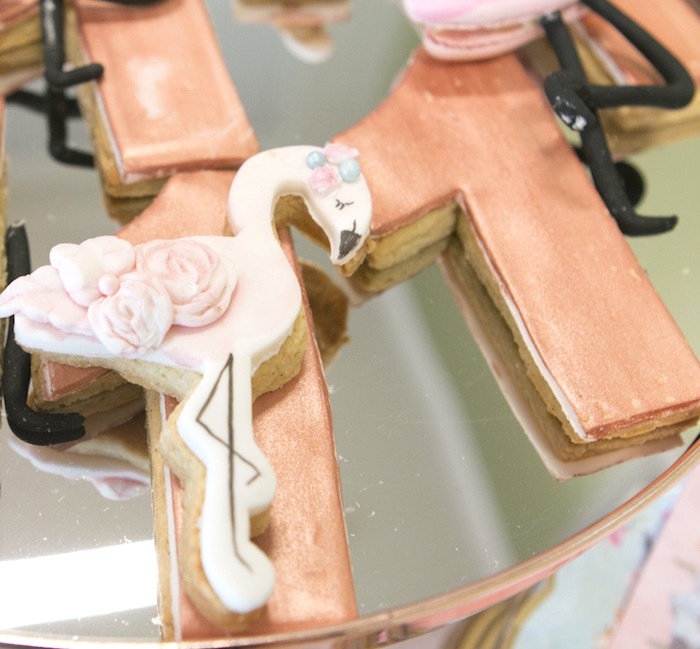 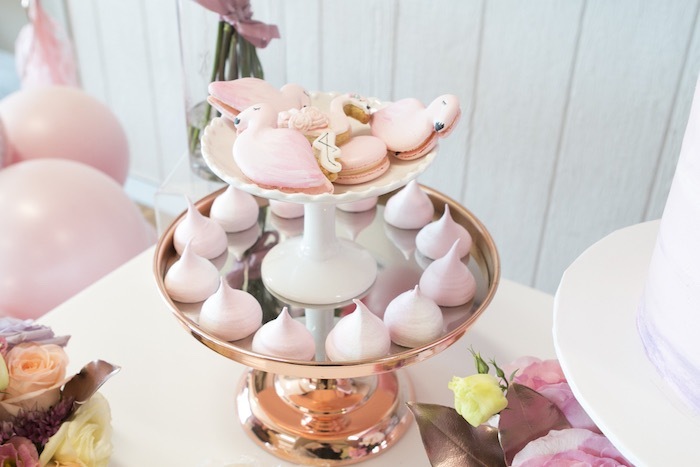 I love the pretty flamingo images Ive seen with floral crowns and the idea of doing a floral flamingo party (rather than tropical) with shades of pink and rose gold. 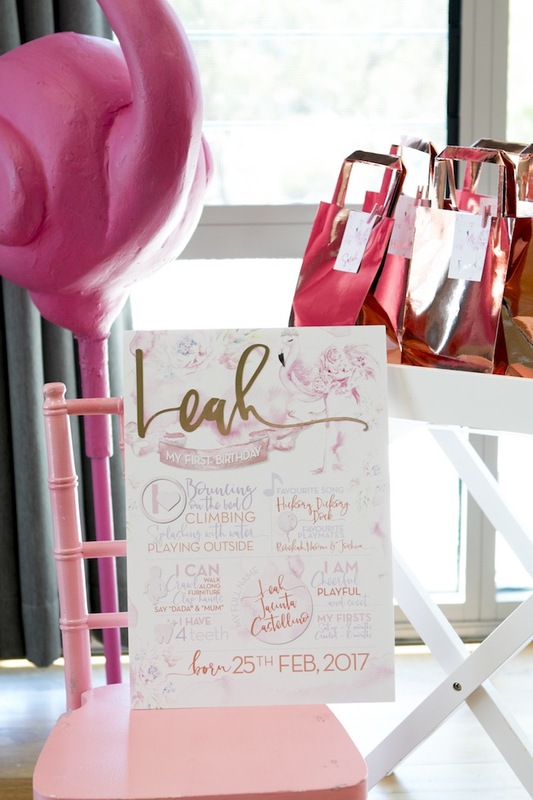 The invitation design set the theme/look for the party and was carried through to the table decal, the party hat, milestone board and favour tags and even the cake topper. 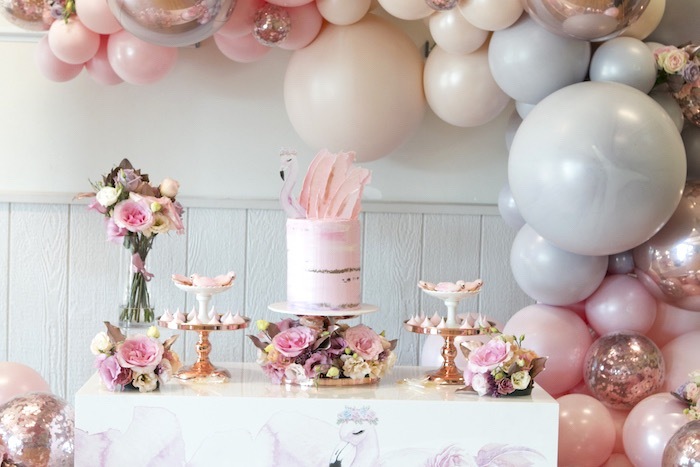 The balloon decor, flamingo props and desserts helped to bring the theme to life with florals also incorporated throughout to add a dash of extra prettiness! 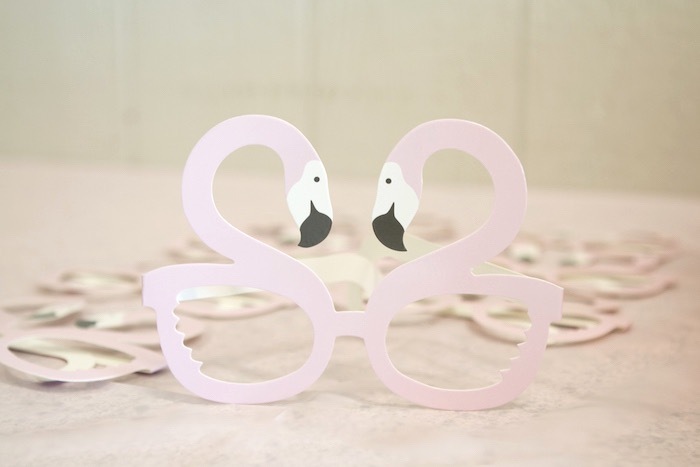 Outsource what you need to ease the stress! 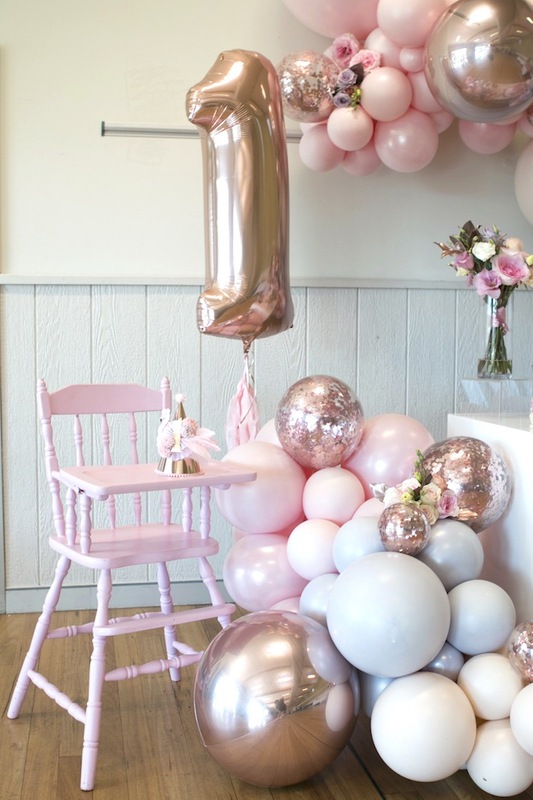 As I run the Lifes Little Celebration Australian kids party directory – I always use vendors from the directory for my kids parties. 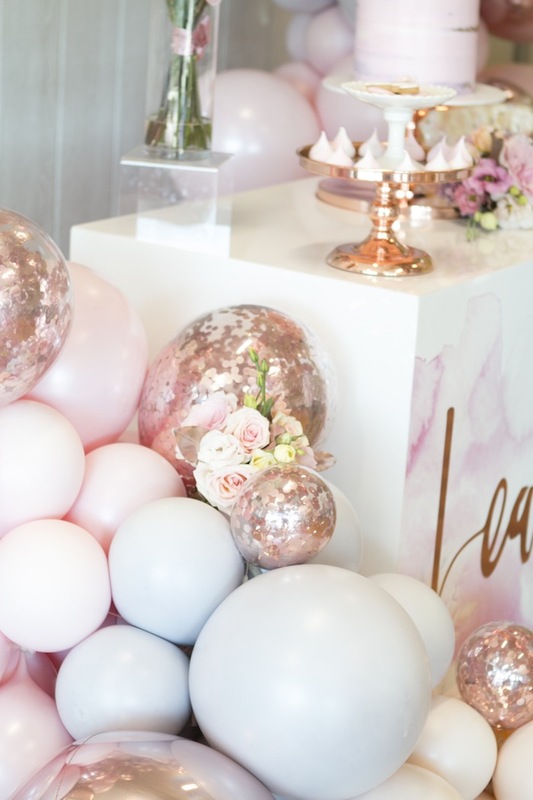 Having vendors I could rely on helped with being able to prepare for the party while still being able to look after my 1yr old and other children. 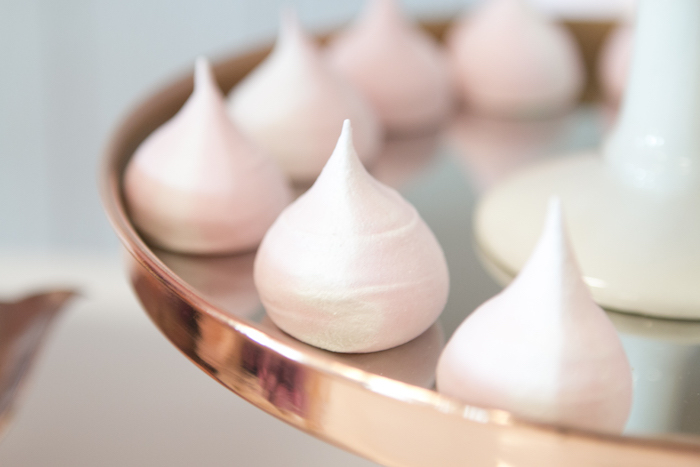 If you cant or dont want to outsource too much then ensure you keep things simple enough that you can manage. 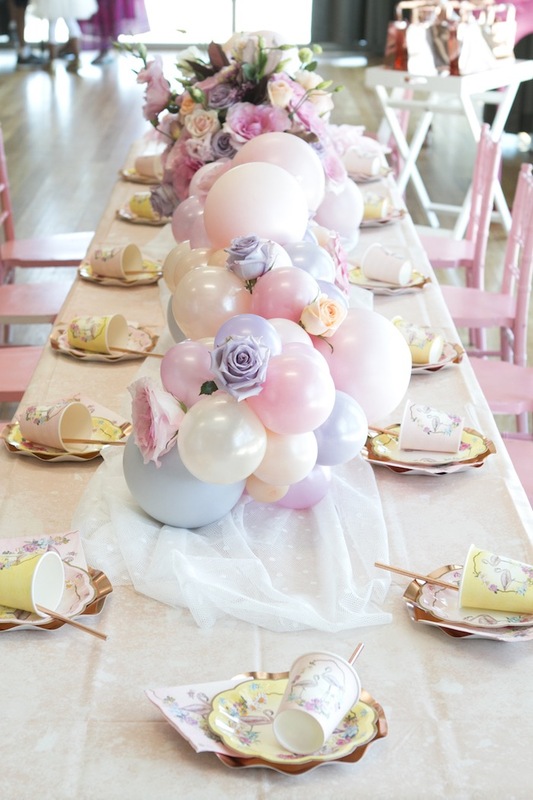 Have something for the kids to enjoy at the party. 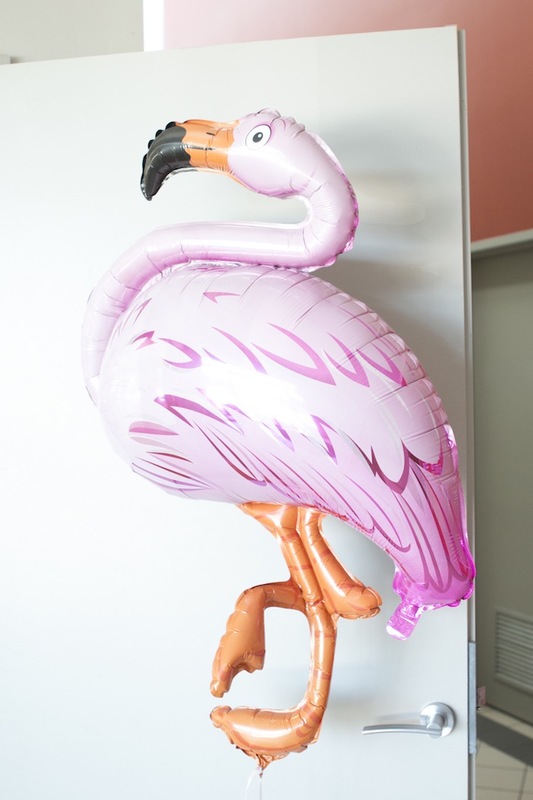 At Leahs party the younger kids loved the ball pit and older kids enjoyed the puppet show (which included a Flamingo puppet !) 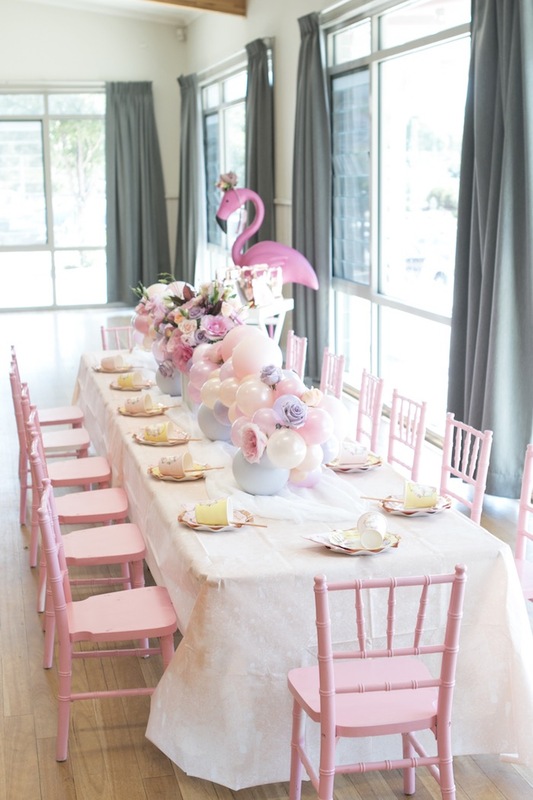 and it meant our friends could then also relax and enjoy the party! 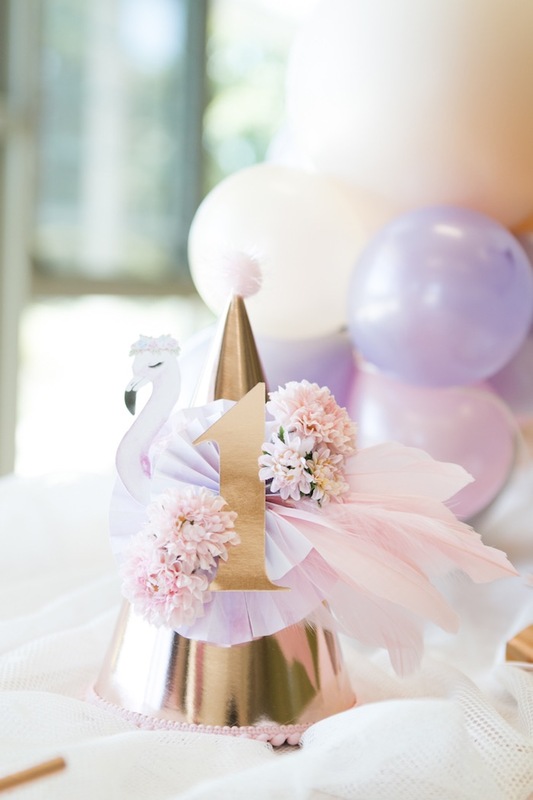 Whether its party games, colouring activities, art & craft tables or outdoor equipment – having something for the kids helps both them and the adults enjoy the celebration!